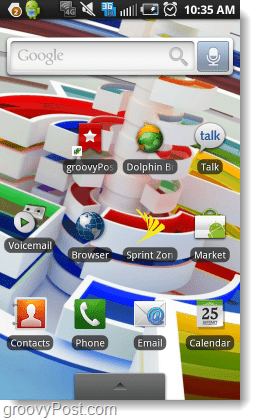 Android interfaces come in many different shapes and colors depending which manufacturer designed the phone. 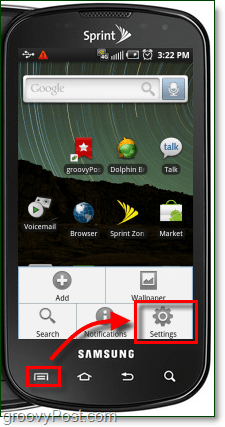 If you want to remove the custom manufacturer interface such as HTC Sense, Samsung TouchWiz, etc… This groovy guide will show you what to do. This guide won’t cover the complete uninstallation/deletion of custom user interfaces, and some of the features may still linger on even after switching to the stock home screen. This how-to was created using screenshots taken on a Samsung Galaxy S (Epic 4g), the actual menus and options may slightly vary on other devices. 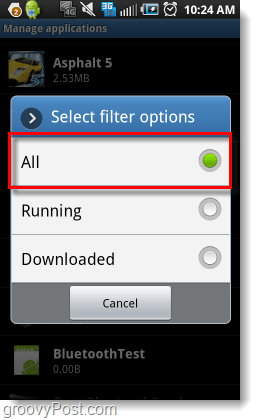 This can be done by Tapping the Settings button from the App Drawer. Additionally, on most phones there is an external Menu button that you can hit from the Home screen to open a menu that will let you access Settings. 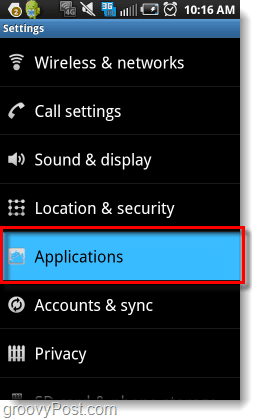 *On HTC phones Applications will read Programs. Press the Menu button and then Tap Filter. This step will vary depending on what brand of phone you are using. 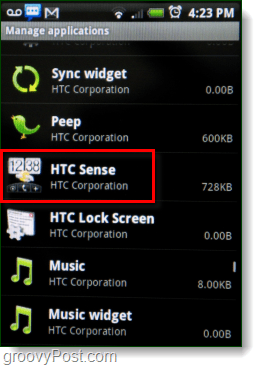 For HTC, Tap HTC Sense. If your phone isn’t listed leave a comment, or see the bottom of this article. Press the Home button and then Tap Use by default for this action. 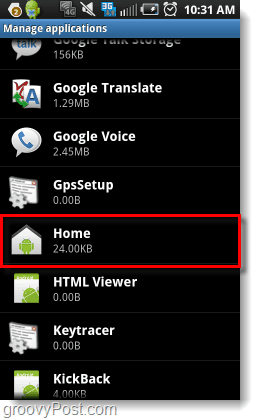 Then Select which interface you would like to use from now on, in this case I Tapped Home. Now your phone is using the stock android interface. 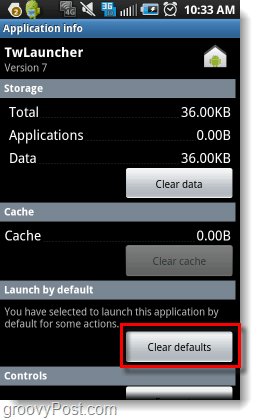 The application that launches the custom interface will never run, but there are still a few remnants of it remaining. Exactly what is left of the custom interface will vary depending on your phone, but it usually doesn’t hurt anything. If at some point you want to go back to the custom interface you had before, just follow the how-to up above. 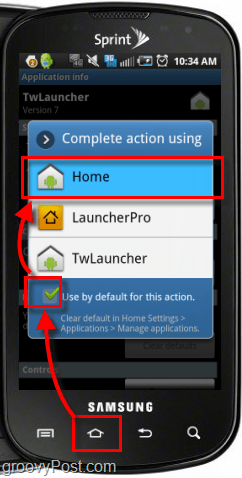 Except this time at Step 6, Tap the Home application and reset it’s defaults. Then Press the home button and Tap to Check the Use default… button and select the custom interface. Did the steps in this How-To not work on your particular phone? 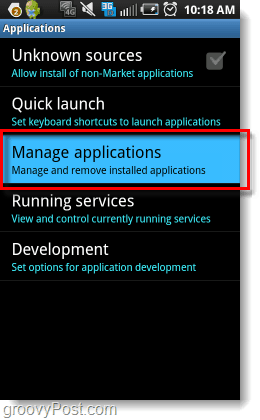 Some phones will not list their custom interface in the Manage Applications list. For these phones there are a three different options to change the interface. The Home Switcher app will give you a menu much like the one in Step 8 of this article, but all you have to do to make it appear is launch the app itself. Once launched you can easily choose which of your installed interfaces you would like to use. 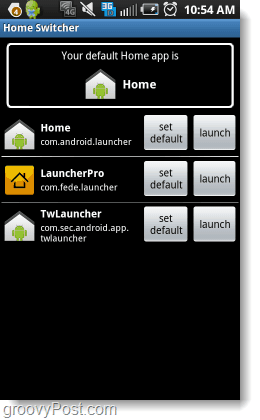 In the Android Market there are multiple interface apps available. These apps will usually automatically replace whatever interface you are running. However, like mentioned above some of the custom interfaces’ remnants may linger on. 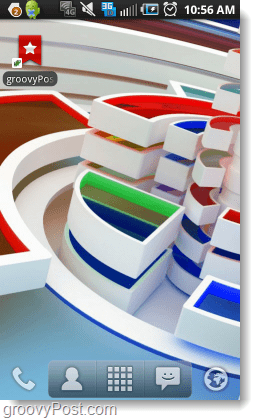 If you are looking for a good custom interface, LauncherPro is pretty groovy. Rooting your phone can be both complicated and dangerous. When you root a phone you are messing with the firmware and operating system, mistakes can turn your phone into a lifeless brick. There are many guides on the internet available for nearly every Android model that can help lessen the risk, so do your homework and feel free to ask for help if you choose to take this route. I’ve been wondering how to do this for a while, thanks. That background in the last picture is awesome, btw. I have a HTC desire (Europe model) and it does have the default Android UI. I have followed the steps correctly and all my phone has is HTC sense. 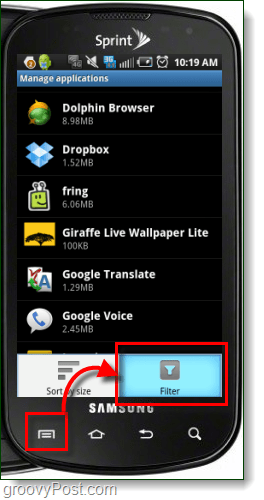 Where can I download the default Android ui? I have a Huawei P8 lite. I somehow managed to activate the Android interface. I want to go back to the Huawei interface but don’t know how to do it (can not identify the program or app to activate). Can you help? Never mind, I found the correct app and menu by selecting “running” instead of “all” as indicated above. I was able to find the right app and select Huawei instead of the default Android sytem.